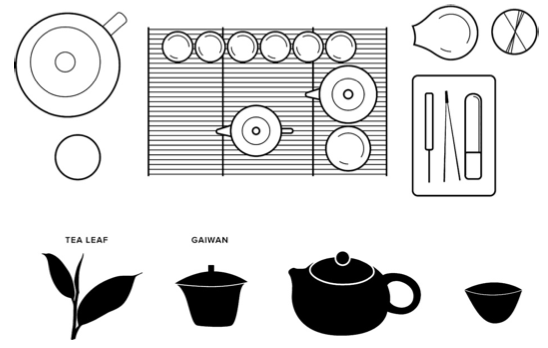 Here’s another article that I’ve translated from the 中国茶经, the “Chinese Tea Bible”, on selecting tea utensils. Students of gōngfuchá will not find any revolutionary information in this translated article, and online videos would be a better tutorial for beginners, but there are a few linguistic curiosities here. Most notably, the words 盖碗 [gàiwǎn] 盖杯 [gàibēi] and 盅 [zhōng] all appear in this article, and yet they can all be used to refer to the same object. Part of a series of original translations made of articles from 中国茶经, or “The Chinese Tea Bible,” edited by 陈宗懋, 1992. It was fresh when I started this article…. How to translate 瓜片 (guāpiàn)? This tea is named after a melon seed, but 瓜片 doesn’t quite mean “melon seed.” It’s a contraction from the original, 瓜子片. 瓜子 is “melon seed.” 片 meanwhile, means “a thin piece.” It’s a frequently used classifier to refer to a “slice” of something: food, a tract of land or expanse of water, a scene in a movie–a CD box set might contain 4 片. So this has led some tea drinkers to believe 瓜片 refers to a “slice of melon,” which may in fact be a second accurate sense of 瓜片. But I don’t want to obscure the primary reference to seeds, so I’m splitting the difference and translating 片 as “flake.” I think “chip” would actually be better: some etymologies of 片 indicate it’s the right half of 木, the character for “tree/wood.” And melon slices in some Chinese dishes look more like “chipped beef” than the wedges we call to mind. 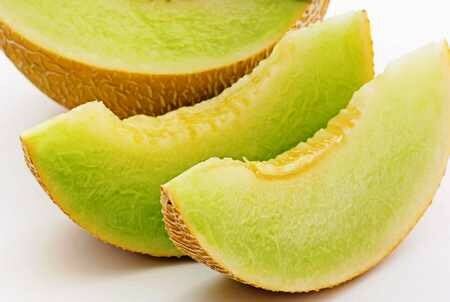 But “melon chip” sounds like an ice cream flavor. 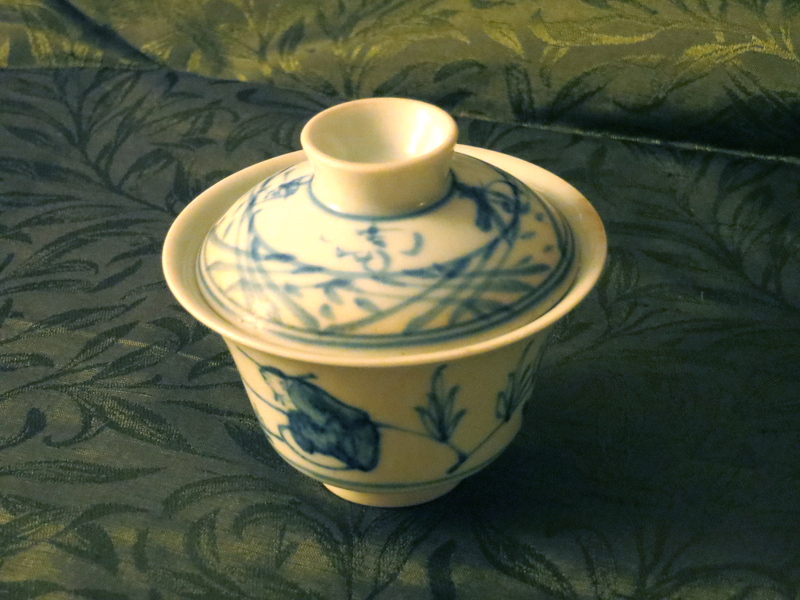 A while ago I bought a tea set from Dragon Tea House. It’s an affordable “Yixing” set that comes in a carrying case that doubles as a chápán, or draining tea tray. 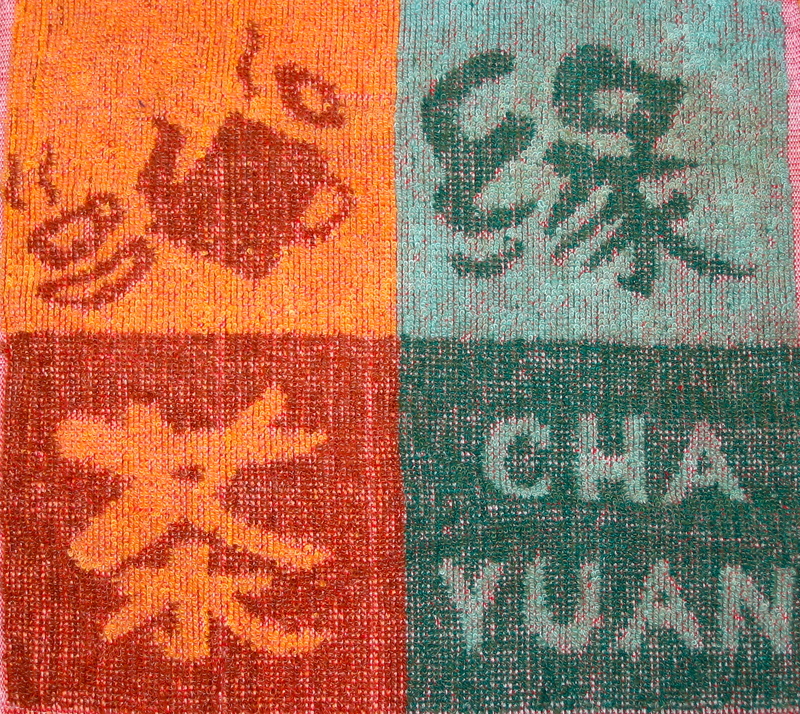 Included was a small tea towel – a washcloth, really – emblazoned with the legend CHA YUAN 茶缘. 茶 is tea, so I assumed this was Chinese for tea towel and moved on. Recently, curiosity got the better of me and I decided to look up 缘. To my bafflement, Nciku defined 缘 [yuán] as “cause, fate or edge.” There are some poetic names for items used in gongfu tea, but this really took the cake. How is a tea towel a cause, fate or edge? My wife’s graduate studies are winding down, so I’ve been taking advantage of her university privileges to access some tea books and journal articles. I recently read “Pu-erh tea tasting in Yunnan, China: Correlation of drinkers’ perceptions with phytochemistry,” by Ahmed et al., from the Journal of Ethnopharmacology, and my scattered reflections follow. The authors studied 10 samples of puerh (ripe, new raw, and >10-year-old raw; plantation-grown and agro-forested), infusing each sample 10 times in gongfu fashion. Each infusion was described and rated by a panel of Yunnan experts, and also analyzed in the laboratory for its constituent chemical content. Literary names for Chinese provinces. 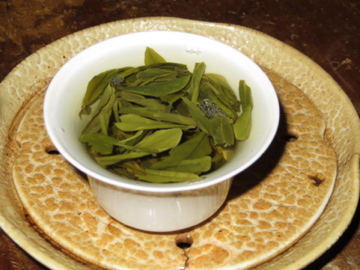 Chinese tea names can be difficult for English-speaking tea drinkers. Mandarin characters are too thorny for our brains to grab hold of. But the most common alternative, unaccented pinyin, can be worse. If I write 茶, there is no question I am talking about “tea.” But imagine I write “cha.” Tea drinkers will probably guess what I’m referring to, and others will feel like they have something that can be looked up in a dictionary. Instead, they will still be lost: did I mean “to be surprised,” “inferior,” or “a fork”? Chinese is a tonal language, so accents or numbers must be used to convey tone information; otherwise, there can be too many possible translations for any romanized word. The Philadelphia Tea Institute has been making a systematic study of The Art of Tea magazine series. The Art of Tea is the English version of 普洱壺藝, an irregularly-published periodical (an occasional?) on Chinese tea culture. This English version is marketed to non-Chinese-speaking Asian countries (e.g., Singapore, Malaysia, and Korea) for whom English is a common second language, but thankfully it’s available stateside from Tearoma. 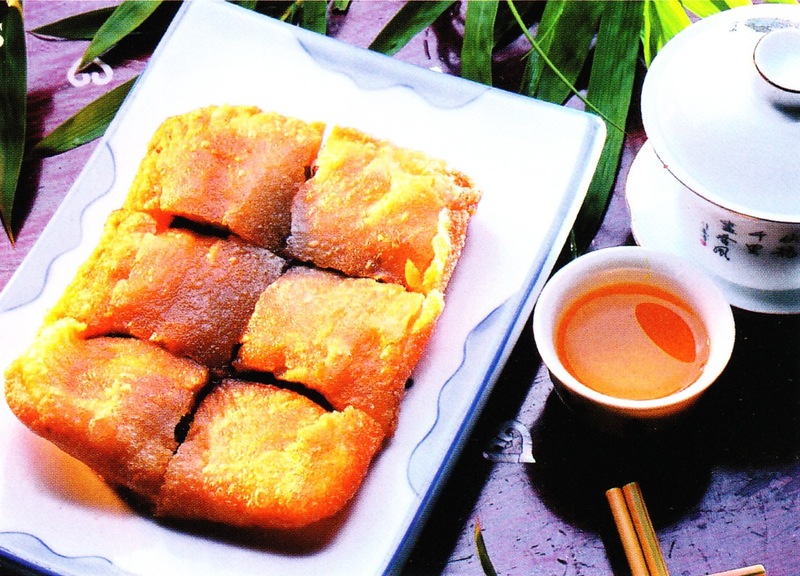 This post, my attempt at a recipe in The Art of Tea #1, will be the first in a series of comments on our studies.